Aldi And Lidl Home Electricals Offers - Which? We've tried out Aldi and Lidl's special-buy electricals – from coffee machines to irons – to help you decide which ones are worth buying. 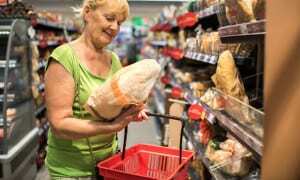 If you're a regular Aldi or Lidl shopper, you'll be familiar with the feeling: you've popped in to do a grocery shop, only to be distracted along the way by the latest items in the central aisles. At Aldi, they're 'Specialbuys', in Lidl it's the 'Middle of Lidl', but one thing's for sure – be it pizza ovens, coffee machines or blenders, they'll be temptingly cheap. Both Aldi and Lidl refresh their middle aisle offerings weekly, so they don’t stick around in stores for long. If something takes your fancy, you’ll only have limited time to decide whether or not to snap it up. But that doesn't mean you shouldn't do your research. To help you out, we’ve been busy trying out key new offers to bring you our first impressions. 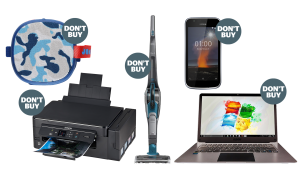 On this page you’ll find our verdict on a range of Aldi and Lidl special offer products, from coffee machines to cordless vacuum cleaners, and our tips for spotting the ones that are worth buying. If you’re looking for garden items or power tools, head over to our Lidl and Aldi garden and power tool special offers buying guide. The table below brings together all the Aldi and Lidl appliances we’ve tried out over the past few years. We’ve found some great Aldi and Lidl gadgets that are brilliant value compared to the big brands – and a few duds that are best avoided no matter how low the price. Some of these products come back into stores from time to time, too, so even if they're not currently in stock, it’s worth knowing which ones to look out for. Logged-in members can see our first look verdict on each gadget, and get an idea of how each store’s products fare overall. Not yet a member? Join Which? to access our exclusive first look verdicts in the table below. This espresso maker uses Nespresso-type capsules (Aldi makes these too) and dispenses one cup at a time. 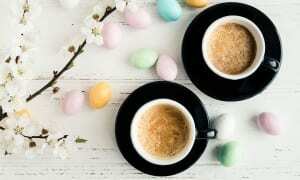 It has two preset cup sizes that you can adjust to suit your preferences, and you can buy a milk-frothing accessory to match – just like Nespresso. It has a removable water tank and indicators to show when it’s running low. Log inor join Which? to get our first look verdict of the Aldi Coffee Capsule Machine. This cheap personal blender looks almost identical to the Nutribullet. It has a 700W motor and comes with two blade options (for blending and milling) one tall and two small cups, two lids and two handles. It blends using a single-speed pulse. Log inor join Which? to get our first look verdict of the Aldi Nutrient Blender. This retro-style ground coffee machine has a steam pipe for frothing milk. It can dispense two espressos at once, and comes with a measuring spoon which doubles up as the tamper. It will automatically switch off after 30 minutes if not being used. Log inor join Which? to get our first look verdict of the Aldi Espresso Machine. This is a very basic upright carpet-cleaning machine that can only be used on carpets, as it lacks any accessories for cleaning stairs or upholstery. It’s light, weighing just 7.5kg when empty, and has a 1.8-litre water tank. It comes with a bottle of carpet shampoo. Log inor join Which? to get our first look verdict of the Aldi Carpet Cleaner. This oval-shaped cooker has a large 6.5-litre capacity, with a ceramic bowl and glass lid, both of which are dishwasher safe. You can choose between high, low and keep-warm temperature settings and there’s a light to show when it’s switched on. It comes in stone colour and gunmetal grey. Log inor join Which? to get our first look verdict of the Aldi Slow Cooker. Unusually for a steam iron this one can be used either with or without the power cord attached. Other features include drip-stop, limescale protection and vertical steaming, as well as the usual spray and steam shot. The steam level is adjustable, and it comes with a handy beaker for filling the water tank. Log inor join Which? to get our first look verdict of the Lidl Cordless Iron. This blender has a 900W motor – so it’s more powerful than the original Nutribullet 600. It has one speed setting and comes with one blade for blending and another for chopping hard food, such as nuts. It comes with one large and two small plastic cups, plus two lids. Log inor join Which? to get our first look verdict of the Lidl Blender. With 11 programs and three loaf sizes to choose from, this breadmaker offers plenty of choice – and there’s a ‘bake only’ option in case you want to make your dough by hand. It has two mixing paddles and plenty of features, including a 15-hour timer delay – so you can wake up to freshly baked bread. Log inor join Which? to get our first look verdict of the Lidl Bread Maker. Slow juicers like this one slowly crush fruit and veg and force it through a perforated metal filter. This one has a drip-stop cap to prevent juice dripping on your worktop when you remove the jug, but there’s no lid so you’ll need to cover the jug to keep your juice fresh. Log inor join Which? to get our verdict of the Lidl Slow Juicer. This ground coffee machine has simple manual controls and can deliver one or two espressos simultaneously. It has a steam pipe for frothing milk, a cup warmer and it comes with a measuring spoon that doubles up as a tamper for preparing the coffee in the portafilter before brewing. Log inor join Which? to get our first look verdict of the Lidl Espresso Machine. If you’re a fan of latte, cappuccino or macchiato, this ground coffee machine has a removable milk tank and automatically froths milk into your cup when you select a milky drink from the menu. You can make long or short drinks or two espressos simultaneously – and it switches off automatically when not in use. Log inor join Which? to get our first look verdict of the Lidl Coffee Machine with Auto Milk Frothing. Chip fans rejoice, Lidl's budget air fryer promises to make crispy and fluffy chips along with succulent chicken with a fraction of the oil of a regular fryer. With a large 2.5L bowl and five presets for various types of food, this machine could be used as a small oven replacement if you want to save space. Log inor join Which? to get our first look verdict of the Lidl Air Fryer. We thought this hand blender set offered such versatility and value that it’d be hard to pass up. It blended up soup very well, and chopped nuts and herbs evenly. It’s let down ever-so-slightly by its lacklustre food processor attachment, as it failed to grate parmesan and dice carrots evenly. And we've found Best Buy hand blenders for less. See our full first look review of the Lidl SilverCrest hand blender set to find out more. This bargain cordless vacuum consists of a compact handheld cleaner with stick attachment for cleaning floors and up high. It comes with mini accessories for tackling smaller jobs such as cars, stairs and crevices, and a wall-mount for storage. Can it clean effectively though? Log inor join Which? to get our first look verdict. This cheap bread maker can bake three loaf sizes from 1-1.5kg and has three crust settings. There are 16 baking programs to choose from, including ones for gluten-free, low-carb and sourdough breads. It has two mixing paddles and a viewing window to keep an eye on progress. Log inor join Which? to get our first look verdict on the bread this Lidl machine makes. It’s difficult to say whether Aldi or Lidl offers the best products – we’ve had good and bad experiences with products from both. Overall, based on the first look reviews we've carried out so far, our researchers have tended to prefer Lidl’s items over Aldi’s. In some cases they felt the build quality seemed just a little better. Both Aldi and Lidl offer generous warranties on their home appliances – three years in many cases. This is longer than some big-name manufacturers offer, particularly on low-cost gadgets, such as cheap blenders. And, as you can return you purchase within 28 days if you’re not satisfied with it when you get it home, there is little risk attached to an impulse buy. While many of the items we’ve tried have done a decent job, it’s worth checking our reviews first. Although Aldi and Lidl's products are cheap, big name brands also often have low-budget options, and you may find we've got a fully tested, high-scoring alternative for a similar price. As well as home appliances, Aldi and Lidl have been known to add deals on health and personal care items - such as toothbrushes, fitness trackers, and scales. As with other deals, these come and go, and stock often doesn't last long when it arrives in store. We've taken a look at a range of the items on offer though, to give you an idea of whether they're worth snapping up. The Sanitas SBF 70 is a Bluetooth diagnostic scale that offers a wide range of features at a typically low Lidl price. You’ll find full body analysis data here, including weight, body-fat, body water, bone mass and BMI. Alongside the HealthCoach app, data for up to eight users can be automatically loaded to your smartphone to help track progress over time. No price is too low if scales aren’t accurate though. Join Which? or log in to get our first look verdict of the Lidl Sanitas SBF 70. At £25, this activity tracker is cheap enough, and the design might appeal to those who are after a device that looks more like a wristband than a watch. It has IP57 water resistance – fine for splashing but not swimming, and works alongside the Silvercrest app to store your fitness data – which includes sleep tracking. Join Which? 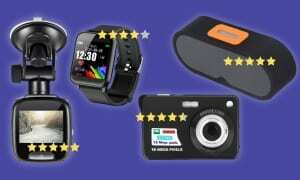 or log in to get our first look verdict of the Lidl Silvercrest Activity Tracker. This budget Lidl tracker includes a simple screen and on-board control, which scrolls through a range of functions to keep you informed on the move. The companion Health Coach app for your smartphone keeps all your activity data in check, and it’s splashproof so can withstand being caught out in the rain. Join Which? or log in to get our first look verdict of the Sanitas SAS 75 Activity Tracker. Lidl is expanding its range of fitness tech with this Silvercrest Personal Care, which offers a more detailed display and easy to access on-board control. It’s splashproof and claims a battery life of 15 days, which if true is quite impressive. We were interested in how comfortable it is to wear and how well it actually works. Join Which? or log in to get our first look verdict of the Lidl Silvercrest Personal Care Activity Tracker. Lidl’s personal care range continues to grow with the Silvercrest Beard Trimmer, which for £10 promises to take good care of your beard, moustache, eyebrows or sideburns. It comes with a wide range of accessories and is capable of a range of cutting lengths, but can it keep you trim and tidy with a minimum of fuss? Join Which? or log in to get our first look verdict of the Lidl Silvercrest Beard Trimmer. A sonic toothbrush with six brush heads, an interdental cleaner, floss attachment, carry case, and three brush modes for £20 sounds like a bit of a bargain. The Nevandent toothbrush doesn’t look like much, but looks can be deceiving. Find out how well we thought it handled its most important function – cleaning your teeth. Join Which? or log in to get our first look verdict of the Lidl Nevadent Sonic Toothbrush. In addition to the home appliances and kitchen gadgets we’ve covered here, Aldi and Lidl both sell power tools, gardening products and plants from time to time. Take a look at our guide to Aldi and Lidl gardening and power tool offers to see what we thought of Aldi and Lidl's cheap barbecues, hedge trimmers and cordless lawnmowers.